For many decades, few new treatments have emerged for those suffering from serious burns, and standard treatment remains painful, slow-to-heal skin graft operations, often with poor aesthetic outcomes. "We are pleased to see further evidence that using a medical technology such as ReCell is not only clinically appropriate, but can also improve patient experience for burns victims at what is an extremely distressing time," - Mr Bruce Philp, consultant burns, laser and reconstructive plastic surgeon, Mid Essex NHS Trust. This latest trial comes ahead of the expected approval of ReCell by the US Food & Drug Administration (FDA) in 2018. WHAT IS ReCell®? HOW DOES IT WORK? 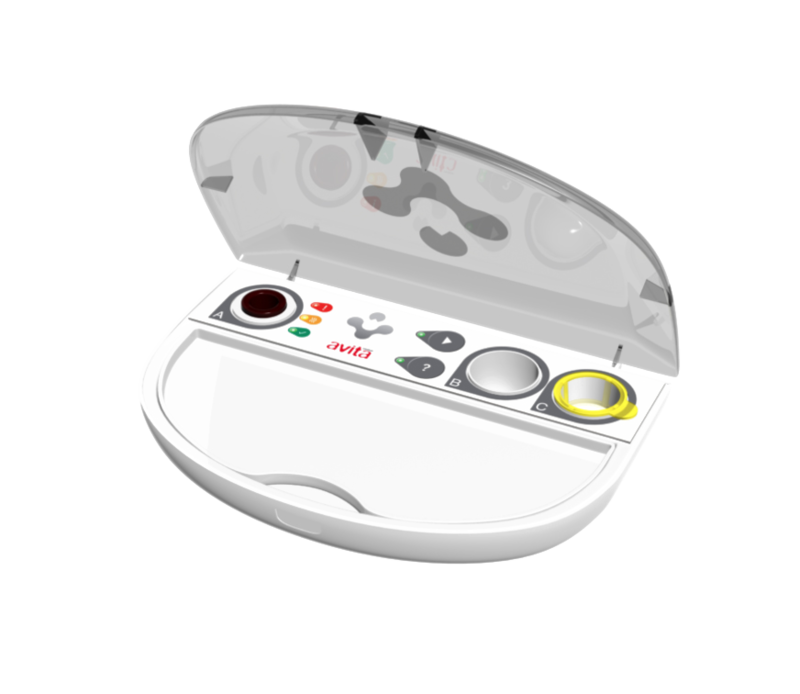 ReCell is a lunch box sized, battery powered medical device, used by burns surgeons for over a decade in the UK. ReCell can 'short-circuit’ the body’s natural healing process to promote rapid healing across the wound. 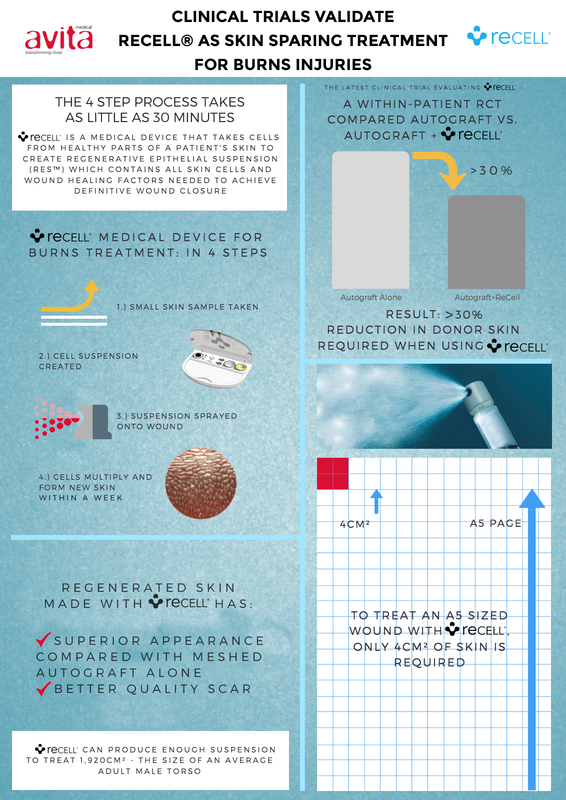 It involves taking a small ’shave’ of healthy skin (the size and thickness of a postage stamp) from an unaffected area of the body in order to generate healthy, new skin by harvesting skin cells that are ‘freed up’ (disaggregated) as part of a liquid skin cell suspension (RES™) produced in around 30 minutes for spraying onto the burn site, promoting an instant healing response. ReCell has been used for over 7,500 patients worldwide, so far. This RCT represents the first ‘skin sparing’ trial of its kind for years, and has achieved both clinical end points. This was a multi-centre, within-patient RCT, involving 30 deep burns patients at 7 major burns centres in the USA. Using ReCell enabled the skin graft to be stretched more widely, hence the ‘skin saving’ potential. Treatment using ReCell has the potential to save healthy skin: less donor skin needs harvesting because ReCell enables the graft to be stretched more widely. For a very badly burned patient this is particularly significant. Donor sites are smaller, and therefore less painful. Cosmetic outcomes are superior, particularly in terms of pigmentation outcomes. A potential reduction in the number of painful skin graft operations needed to ensure wound closure for the patient, with all the associated savings in terms of time and resources (human, financial etc). Please do not hesitate to contact us if regarding interview enquiries, and/or you would like further information or images. This press release was distributed by ResponseSource Press Release Wire on behalf of Curious PR in the following categories: Health, Business & Finance, Medical & Pharmaceutical, Public Sector, Third Sector & Legal, for more information visit https://pressreleasewire.responsesource.com/about.